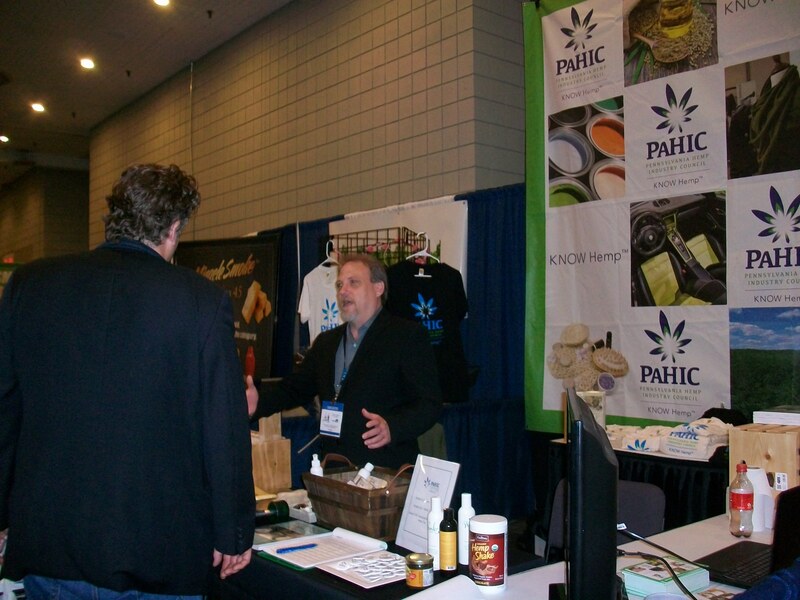 The Pennsylvania Hemp Industry Council set up a booth at the CWCBExpo at the Javits Center in NYC. It was an overall amazing experience. 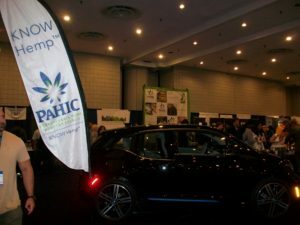 As a business to business show, it showcased the many different aspects and investment opportunities of the emerging cannabis industry. Of course medical cannabis was the dominate industry represented. This is currently the arena where the most states have laws on the books and where there are the most investment and business opportunities. A huge portion of the exhibitors there had something to do with CBD. 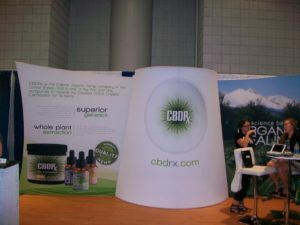 All of the other ‘hemp’ displays were CBD related. While in many ways this was not surprising, it was a little bit disappointing. Yes, CBD is extracted from hemp. Yes, CBD is where the money is right now. 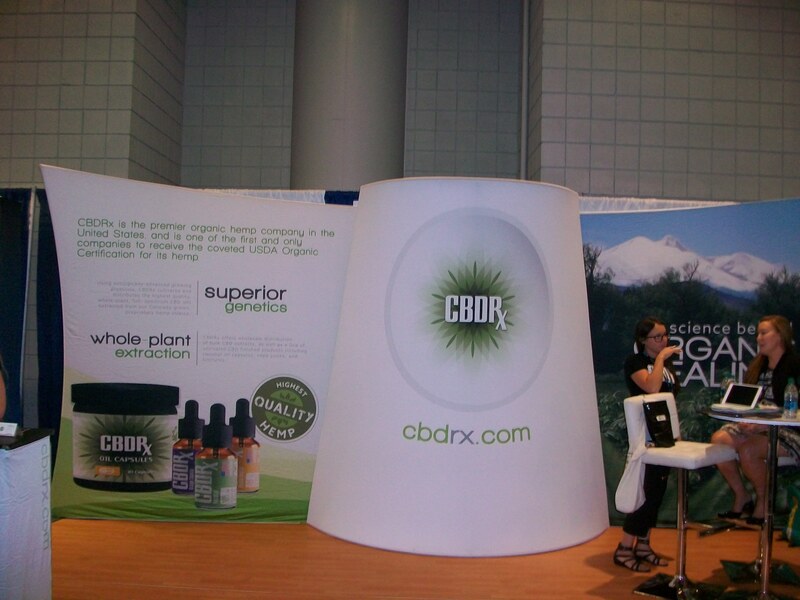 Yes, CBD has tremendous medical value, the scope of which we have only scratched the surface. Yet as the CBD industry continues to explode and as the FDA begins to crack down on CBD products, it seems inevitable that it will eventually be dominated by big business and/or big agriculture. The market is already becoming saturated. While we whole heartedly support farmers and business owners benefiting from the boon while it lasts, when we look to the future of industrial hemp we have a much larger vision. Hemp is so much more than just a source of CBD. Hemp is a vital and too often overlooked aspect of the cannabis industry! We were the only exhibit there highlighting ALL of the incredible uses for industrial hemp. This didn’t go without notice either. 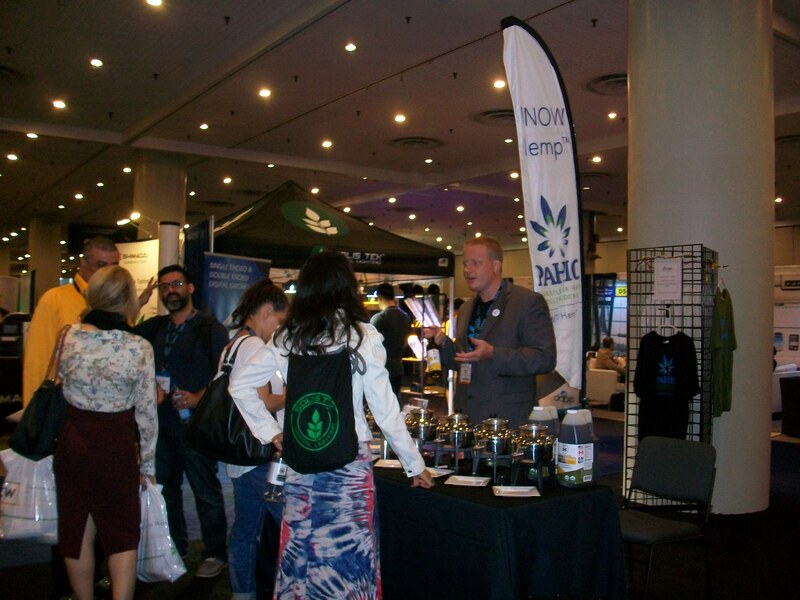 The vast majority of people that visited our booth were either amazed because, despite being involved or interested in the industry, they had no idea hemp was so versatile – or they knew about hemp’s potential and thanked us for representing the very real business potential for hemp. We had a BMW on display to show the potential for auto parts manufacturing. We had beauty products, hempcrete, fiber board, insulation, flooring, clothing and of course many examples of food products. Our hemp long board was wildly popular! 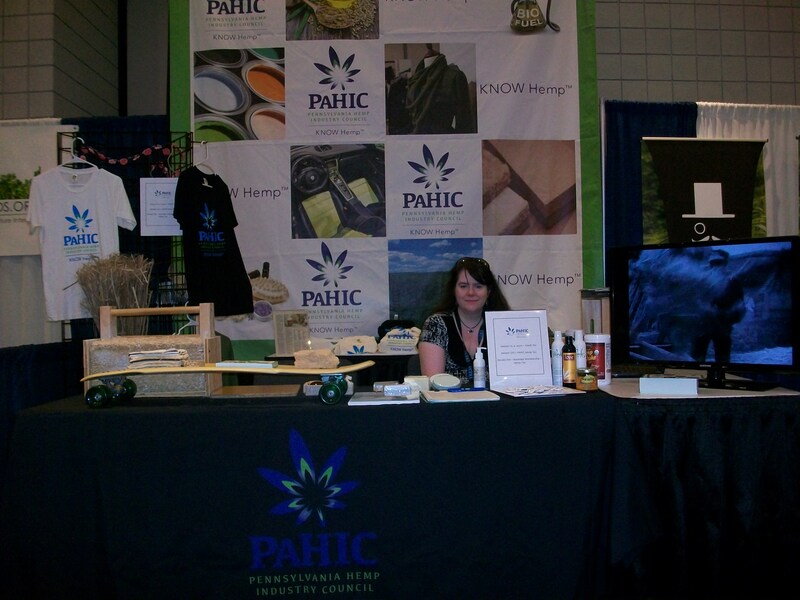 Pennsylvania Hemp Company’s display of cooking oils made with hemp was a huge hit. Everyone loved it. You know its good when people are willing to take a swig of pure cooling oil! A prominent NYC restaurant even featured it at a VIP dinner for sponsors and exhibitors. The next CWCBExpo will be held in Los Angeles this September. 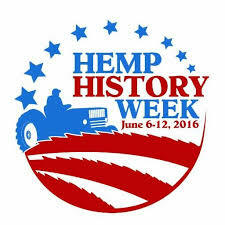 We look forward to participating in that as we continue our quest to make sure that everyone gets to truly KNOW Hemp! June 6th marks the beginning of the 7th annual Hemp History Week, which is a nationwide effort to educate and promote federal hemp legislation. 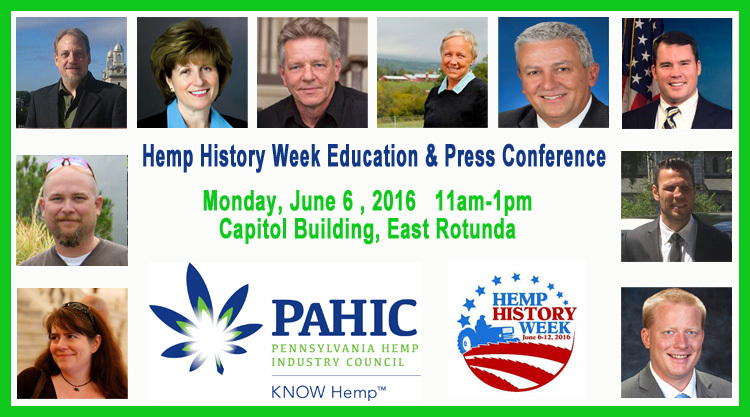 PAHIC is using the opportunity to hold an educational forum & press conference to encourage the passage of Pennsylvania’s Hemp legislation. While both the senate and house hemp bills have passed unanimously, neither has yet to reach the governor’s desk. We need a final push and show of support to get this legislation passed so we can begin to build the industry. There will be a display showcasing the many diverse uses of hemp and free samples too! This event is free and open to the public. Please join us to learn about the past and future of hemp in Pennsylvania and show support for the final passage of hemp legislation in PA!